Who needs another "Eine kleine Nachtmusik"? Strictly speaking I certainly didn′t (plenty on the shelves already). This superb SACD from German company TACET, however, compels attention. Technically, it′s a fascinating blending together of old and new recording technologies. The old is represented by the completely transistor-free signal path, in which classic valve equipment and historic microphones are used to capture the performances, before mastering for release on state-of-the-art digital hardware. Does it make a difference? It does - the sound here undeniably has a palpable "glow", a warmly burnished patina often said to be typical of valve recording, the type of sound associated with the very best vinyl replay equipment. Except that here you also get an extra clarity of focus, a remarkable "see-through" transparency of soundstage unattainable in my experience from even the finest LP sources. It′s as though TACET are updating for our own era the kind of outstanding results achieved by RCA in their "Living Stereo" series from the 1950s - the aura and sonic signatures are similar, the focus on musical values and listener enjoyment similarly paramount. One further ingredient remains to be added - TACET′s use of multichannel possibilities. It′s fairly widely know that the company makes much bolder, more imaginative use of rear channel information than usual. In the case of this Mozart programme that means first and second violins (6 and 5 players respectively) to the front speakers, violas (2 players), cellos (3 players), and the single double-bass balanced more to the rear. 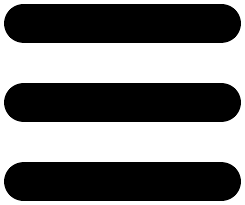 For some this kind of separation is "unnatural", the equivalent of hi-fi anathema - would you ever hear the music this way in a concert hall? No, but your living room is not a concert hall, and never can be. I′ve had some very poor listening experiences in concert halls, and some very good ones in my living room. 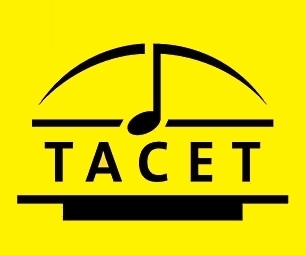 Regarding TACET′s use of multichannel capabilities, I can only re-echo the words of TACET owner and chief engineer Andreas Spreer, which I quoted in my review of the outstanding TACET coupling of Beethoven Symphonies 7+8 released recently: "The positioning of the musicians might appear synthetic, but the sound is not!". That is exactly how I hear it - you put the disc on wondering what oddities of balance you might be about to encounter, but the oddities simply never happen. You slip immediately into the music, are welcomed by it, "surrounded" by it in a very direct and sensual fashion, and drawn into a dialogue with it in a way which actually seems entirely natural. It′s like relaxing with a well-known friend in an easy, intimate conversation, with nothing else intruding or interrupting the agenda. In an odd kind of way you almost feel a part of the performance. There is none of the alienation and separation you can sometimes feel listening to a stereo recording which is particularly "flat" in perspective, where the music is very definitely at one end of the room and you are at the other. Here Mozart′s music is "in the air" around you, in a way which I do not find in the least bit contrived or inappropriate. The net effect was that I literally re-discovered this extremely familiar and much-heard music - or, perhaps more accurately, discovered aspects of it for the first time ever. The clarity of the recording, the delicacy of the inter-speaker balances, reveal the tender sensibilities and emotional subtleties of this so-called "occasional" music (ostensibly written for social, not high artistic purposes) more clearly than I had experienced them in the past (and I′ve heard many different performances). The famous "Romance" of the "Nachtmusik" is a case in point - it′s a beautiful tune, of course, but here the spareness of the violin writing, and the way that it is perfectly set within the larger room acoustic, releases also feelings of sadness and wistfulness not realised in many other performances. Similar things happen in the Andante of the K138 Divertimento, where the violins again are sweet, but also strangely vulnerable and lonely-sounding. This has much to do with the very fine performances of the Polish players and conductor Wojciech Rajski, but also a great deal to do with the sensitive placing of instruments and microphones within the type of acoustic space most sympathetic to the music′s ethos and emotional temperature. I recommend this disc very highly. Andreas Spreer has, in his innovative use of multichannel mixing for classical music recordings, been accused by some of gimmickry. What he does, it seems to me, is actually profoundly musical, and aimed solely at enhancing the listener′s encounter with and appreciation of great music. He is technically brilliant, but he also loves and understands the music deeply, and is quietly, patiently working out new ways of communicating that love to those who buy his remarkable TACET releases.